WRAP was developed in 1997. Since that time hundreds of thousands of people have been in WRAP groups, used WRAP resources and developed their own personal WRAP. In that time, many, many people have said to me “WRAP Gave me Back my Life and Saved My Life”. There is no way to tell how many lives have been saved by WRAP. Even if it was only one life, all the effort that has been gone into making WRAP available to everyone would have been worth it. WRAP gives people hope, even when they are in the midst of great despair. At a time when they may be feeling that there is nothing that will help, WRAP reminds them that there is something they can do to feel better, even if it is just a little better. Suicide Prevention is on everyone’s mind. 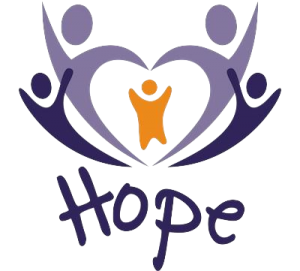 Everyone, agencies, organizations, foundations, individuals, all are trying to figure out what to do to prevent suicide. Veterans, teens and older people are ending their lives. On the other hand, people have told me over and over again that WRAP has literally “kept them alive”. 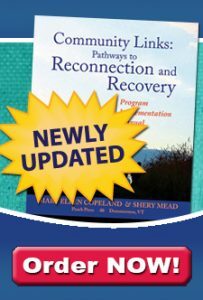 In WRAP for Life, my latest book and the most comprehensive book on the Wellness Recovery Action Plan, I have referred to ways that people have used WRAP to save their lives. The book includes a WRAP prototype for Preventing Suicide. This prototype is a collection of ideas from many of the people who have told me that WRAP saved their life. Talk, talk, talk to someone who will listen, listen, listen. Don’t be left alone; keep a trusted companion with me at all times, even staying overnight.